Bred to a behavioral rather than an appearance standard, the appearance of the Elo can vary from dog to dog, although the breed standard (breed standards describe a breed's external appearance) describes the size as 46 - 60 cm at the withers, and weighing 22 - 35kg, with a body that is slightly longer than tall, and a well plumed tail (meaning with lots of long fur) often carried in a curve over the back. The prick ears are furry, wide set, and slightly rounded at the ends. The coat comes in a long (Rauhaar) and medium (Glatthaar) length, both with a dense undercoat, with all colours allowed, with a white with brown, red, black, or gray spots particularly desired. Marita and Heinz Szobries began crossing their Eurasiers and Bobtails (Old English Sheepdogs) in 1987, believing that, although very different in detail, the breeds were of similar type and had arisen as breeds under similar conditions. Dogs from the cross that showed unique characteristics and good health were bred further. Due to the lack of sufficient Eurasiers, a similar breed, the Chow Chow, was added, and later, Samoyeds and Dalmatians were added to expand the genetic base. Breeding has continued with long term focus on the inheritance of character. The name "Elo" (originally Eloschaboro) is from letters of the 3 breeds - Eurasier, Bobtail and Chow-Chow - and is protected by trademark in Germany. Breeding dogs with the name Elo is allowed only with the consent of the founders of the Elo breed. As with all created breeds, the Elo's small population size results in the risk of inbreeding and its after-effects of inbreeding depression, and frequent occurrence of hereditary diseases. There is a susceptibility to Distichia, in which corneal damage can occur. Part of the process of accepting a dog for breeding is an eye examination (for prevention of Distichia) and X-rays to avoid breeding dogs with hip dysplasia. A genetic study has been done in Germany using the Elo, calculating the proportion of genes of the different founder breeds, of the inbreeding coefficient and relationship coefficients, and the percentage of stillborn puppies in litters. The study also found that all but 3.5% of the Elo were related to each other. The significant gene percentages of the Elo are 48% Eurasier, 23% Old English Sheepdog, 10% Chow chow. The inbreeding coefficient was found to be 12.04%. 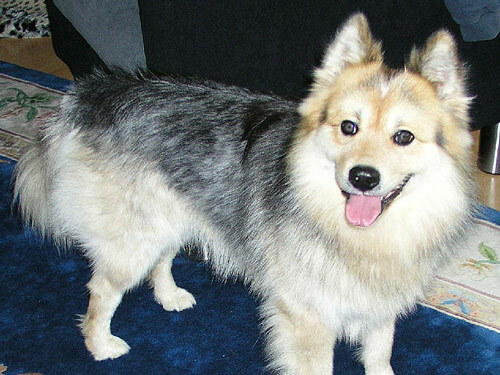 A related breed from Pekengse and various small Spitz, called the Klein-Elos, is being developed in the same manner by the same people. Although the breed's development is well monitored, dog and puppy buyers in North America and other areas outside of the EU will have to determine whether dogs being sold as Elo are the carefully bred Elo Breeding and Research Association dogs, or a similar mix bred together to fulfill the demands of the rare breed pet market.